A key argument for Brexit was that the UK’s businesses could break free from the EU’s web of regulations. Eurosceptics see EU bureaucrats much how US conservatives see Washington bureaucrats: as an unelected drain on resources that do not justify their own paycheck. A key pro-Brexit politician, Michael Gove, argued that EU regulations cost the UK £600 million per week. But will entrepreneurs in the UK actually see any of that money come their way? As a member of the EU, Britain implemented 1,200 new EU regulations each year. As few as 0.5% of these regulations were ever analyzed for likely outcomes. This fueled an appetite for deregulation in Britain, particularly among small business owners. EU regulations were ridiculed by the right-wing press. It was reported that according to EU regulations, “extra class” bananas could not be sold with “imperfect curves.” If you sell an “extra class” banana that bends inappropriately, you face a spell in prison of up to six months. The story seems to have only been half true. Abnormally bendy bananas can be sold in the EU, but they have to be classified as either class 1 or class 2. Despite this, and despite the fact that bananas have always been classified by curvature, the myth became a popular example of regulatory overreach. Other industries were affected more seriously by EU regulation. The EU brought in tough e-cigarette regulations, like the FDA’s proposed restrictions in the US. The crucial difference is that the medical establishment in England supports e-cigarettes as a method of harm reduction, making the EU’s zealous regulations seem inappropriate. This led to an estimated 88% of the UK’s 2.8 million vapers voting leave in the referendum. But Brexit may not actually lead to the deregulation that they hoped for. The UK accepts EU regulation because in return it gets lucrative access to the European Economic Area (EEA). The EU buys nearly half of Britain’s exports, making Britain economically dependent on free trade with the continent. Even with the referendum lost, the UK’s political leaders remain committed to the EEA. As a delaying tactic, the Prime Minister has not triggered Article 50, the formal mechanism for starting Britain’s two-year withdrawal from the EU. David Cameron has left the job to his successor. The bookie’s favorite to succeed him, Theresa May, says that Article 50 shouldn’t be triggered until the end of the year. This means that British entrepreneurs are likely to be stuck with EU regulations for the foreseeable future. British politicians argue that while the people have voted for Brexit, they have not specified which type of Brexit they want. Britain can have access to the EEA, or stronger control of its borders, but not both. In the past, Theresa May has said that all immigrants coming from the EU should have a job waiting for them when they arrive in the UK. What would the Norway model mean for EU regulations? The most likely outcome is that Britain gets some version of the deal that Norway has. This would see Britain remain part of the EEA, which would keep business flowing. But it would also mean that Britain has to compromise on border control, as EU leaders see the freedom of movement between EU countries as a central pillar of the EEA. If May is unable to reach a compromise that keeps both voters and the EU happy, then she’ll be in for a rough ride. As for regulations, the “Norway model” is a mixed bag. Britain would escape some regulations, including the EU’s controversial fishing and agricultural policies. The UK would also be able to lower VAT to stimulate the economy and gain more flexibility to negotiate trade agreements with non-EU countries. Yet Norway abides by 75% of the EU’s regulations. And unlike full members of the EU, Norway does not get to help make the rules. This is because retaining access to the EEA also means retaining the EU’s product standards, financial regulations, employment regulations, and contributing to the EU’s budget. So we’re not much closer to cutting regulations than before, and we face a period of indefinite uncertainty. But for the smart entrepreneur, this chaos could represent a ladder rather than a pit. Just as in 2008, overstretched companies could become vulnerable to nimble competitors. 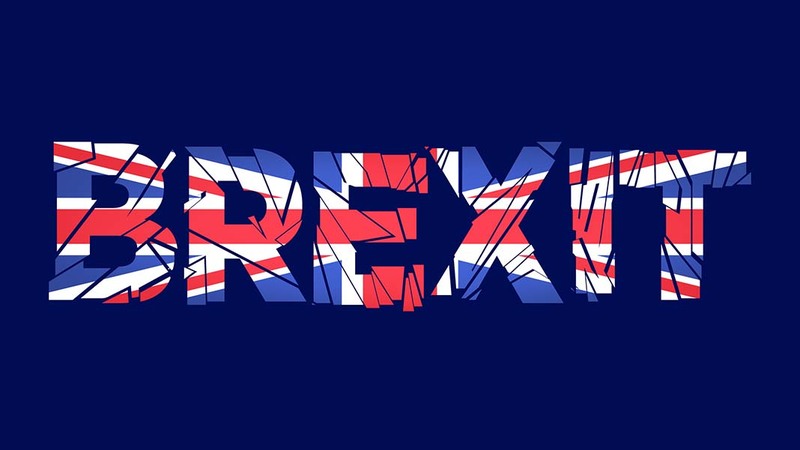 Whether you voted in, out, or are watching the UK from abroad, Brexit, like any period of upheaval, can be an opportunity for the decisive and the pragmatic. Author: Pascal Culverhouse is the founder of Electric Tobacconist.